Have a question about Meals on Wheels? If you didn't find your answer on this website, you'll want to talk to Terry Davis, our Program Director. She is a wealth of knowledge - and very helpful. 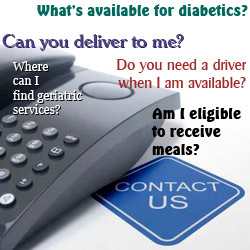 Mailing Address: Meals on Wheels of Eastern Onondaga County, Inc.